Is there a link between Autism Spectrum Disorders and what’s in the gut of the mother? New research from the UVA School of Medicine suggests that connection. Researcher John Lukens and his team have been working on the issue for about three years and published their findings this month. 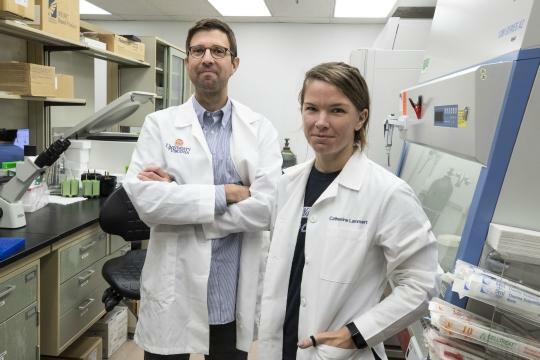 John Lukens, PhD, and graduate student Catherine R. Lammert made the autism discovery with colleagues in UVA's Department of Neuroscience. They found the mother’s microbiome, that is the microorganisms living in the gut, can affect the developing brain in multiple ways. Their research used mice. "What our studies have shown is that in an animal model of autism that the maternal microbiome composition can severely influence the severity and development of this nerve developmental disorder," Lukens said. But Lukens cautions there's more work to be done and avoiding autism is not as simple as changing your diet. "You know there are other factors in play too and it’s thought to be a multiple hit process." Genetics and environmental factors are also believed to play roles. Lukens says the next step is to look for correlation between different elements in the human microbiome during pregnancy and the likelihood of autism. He notes other research has found the microbiome can affect issues like arthritis, depression and obesity. The University of Virginia is a financial supporter of Radio IQ. Faced with the growing crisis of opioid addiction, the Food and Drug Administration asked makers of those medications to cut back on the amount they produced. 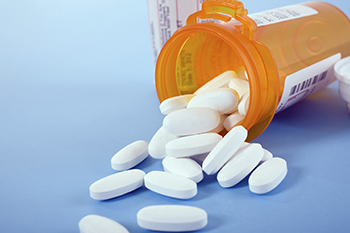 Now, major medical centers like the University of Virginia are faced with a shortage, unable to prescribe those drugs for all of the patients in pain. But UVA has come up with alternatives and made some surprising discoveries in the process.